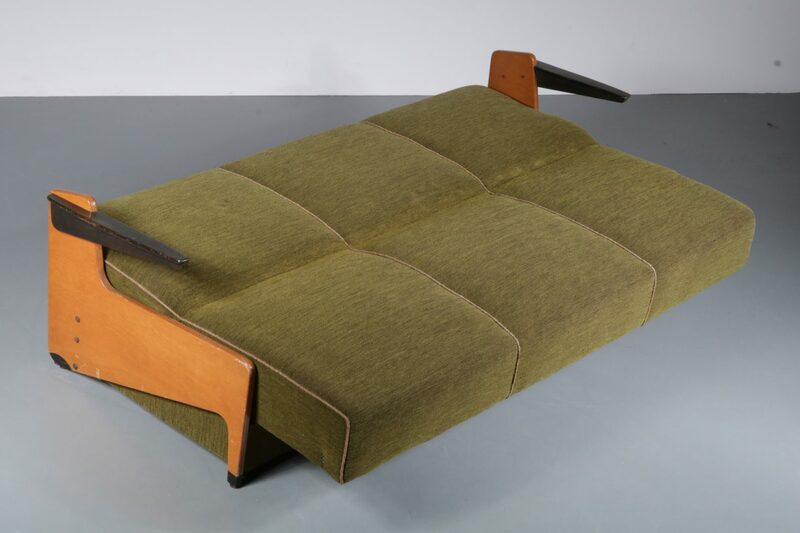 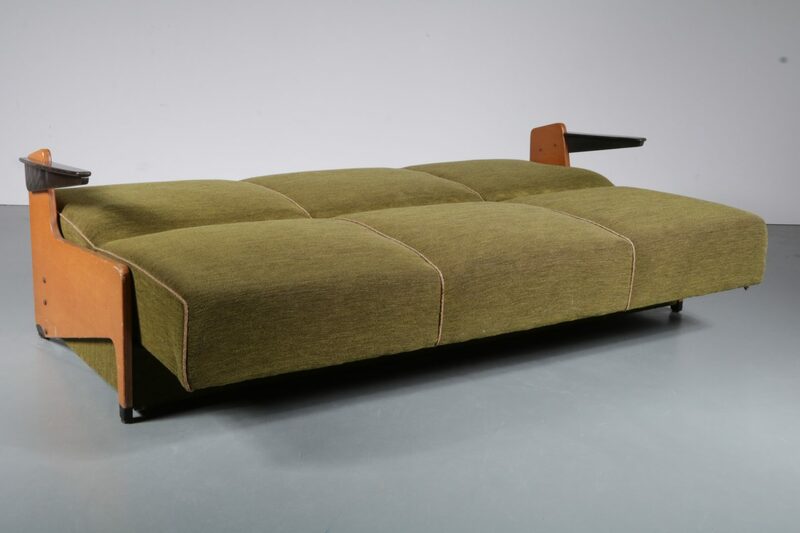 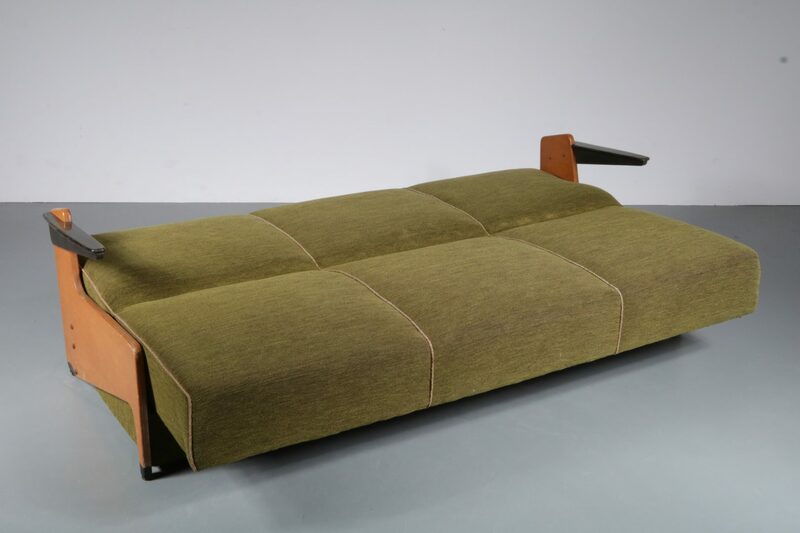 A unique three-seater sofa that can be converted to a sleeping couch. 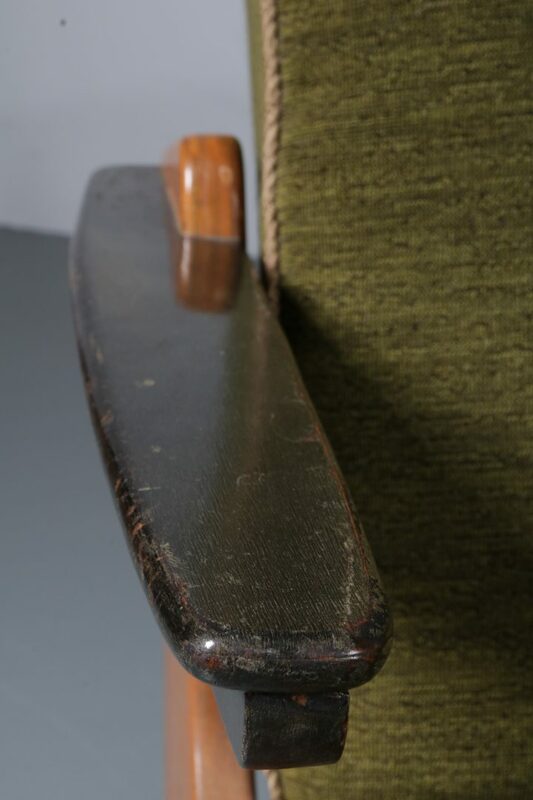 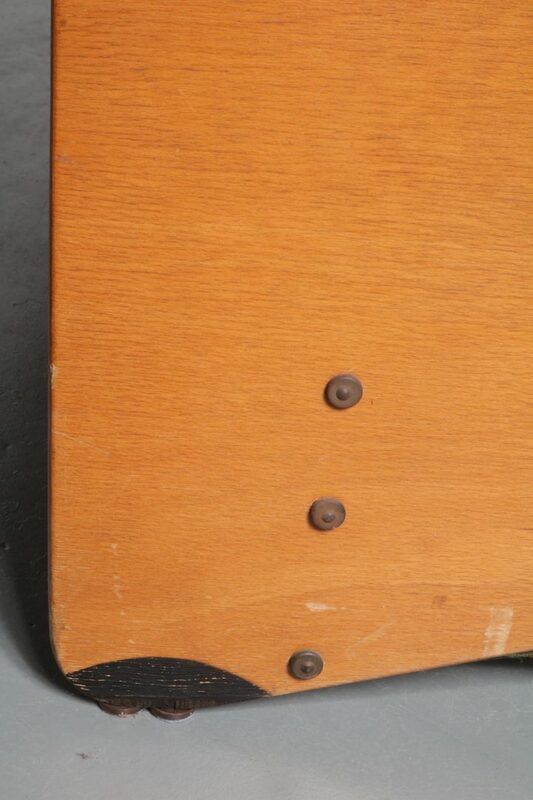 The wooden base of this piece is made of high quality birch wood with plywood sides, the armrests are painted in a darker brown / black tone as a nice detail. 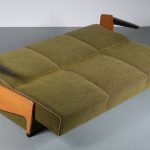 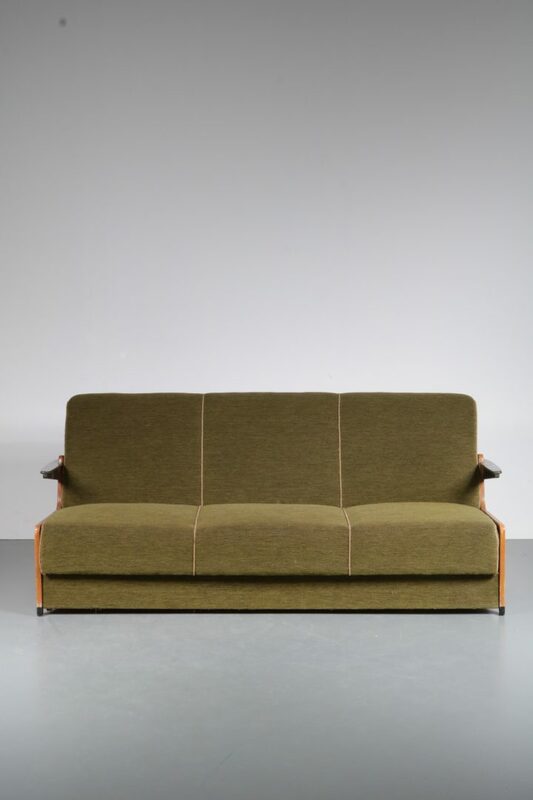 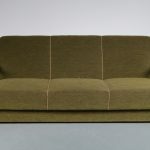 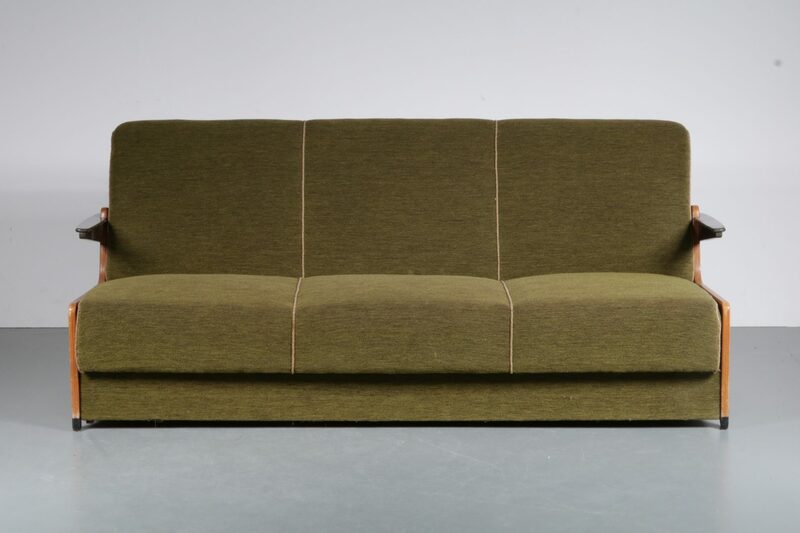 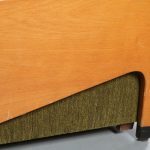 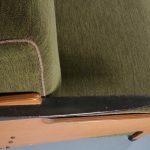 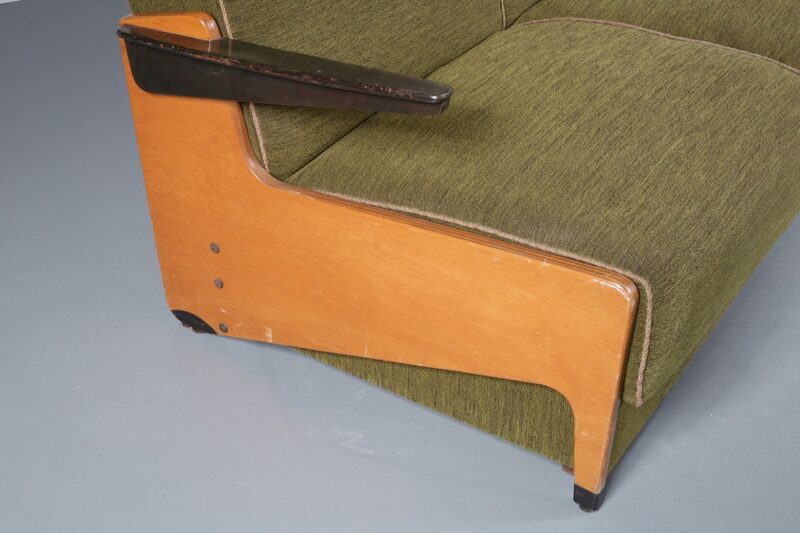 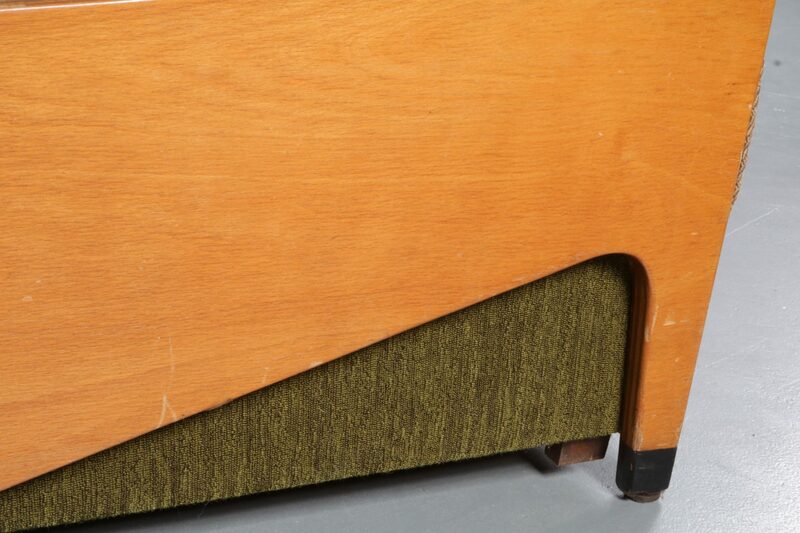 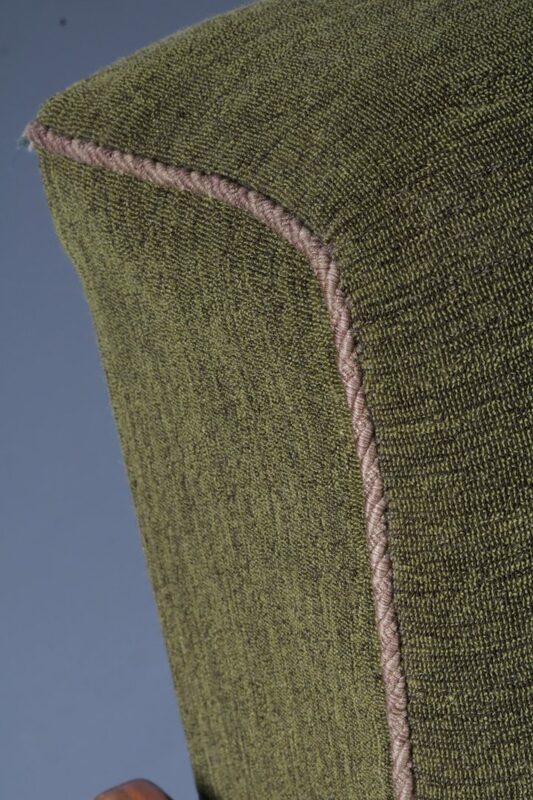 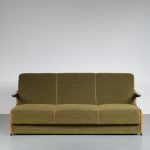 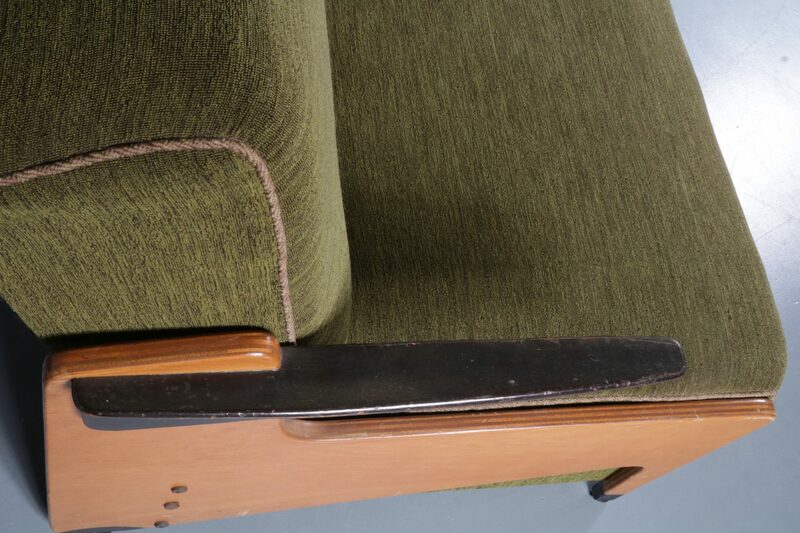 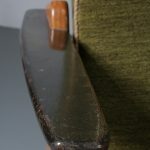 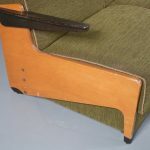 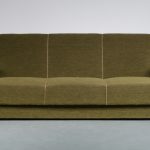 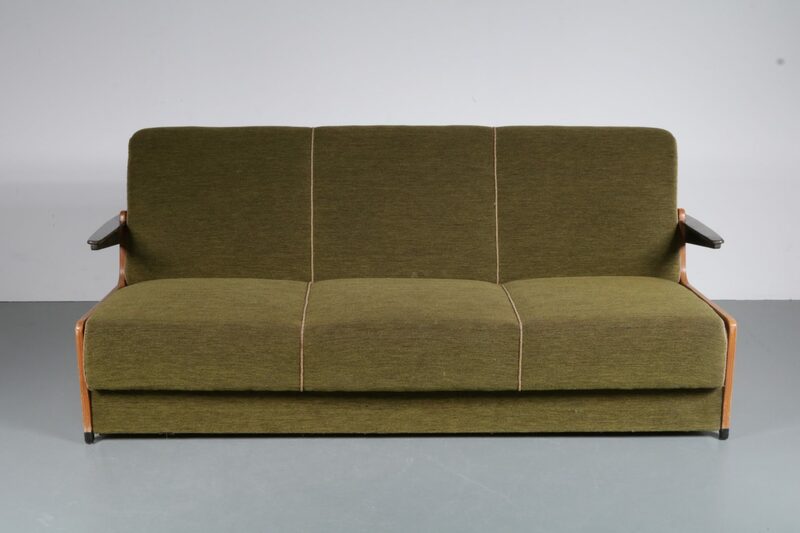 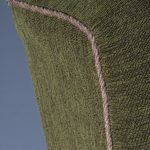 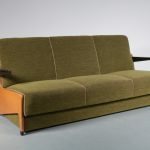 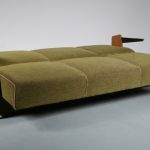 It is upholstered in high quality green fabric that’s soft to the touch and perfectly adds to the retro style of the piece. 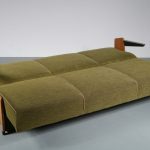 It can easily be converted to a sleeping bench by putting down the bakrest. 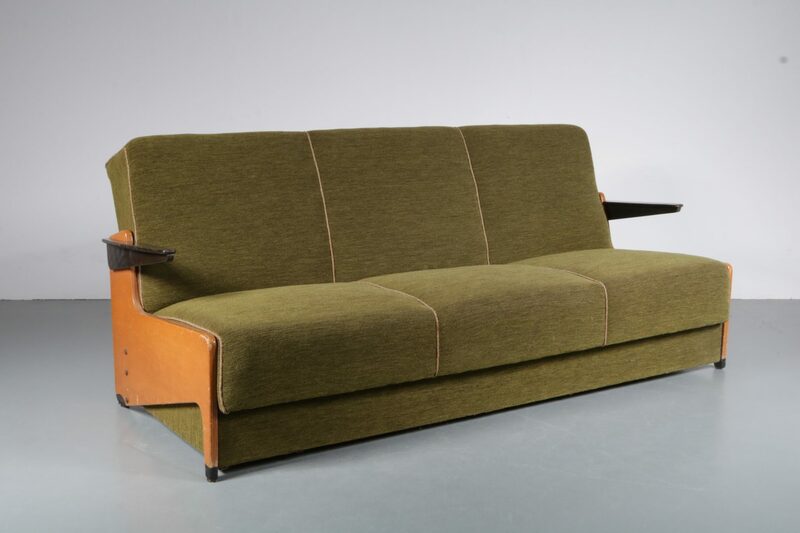 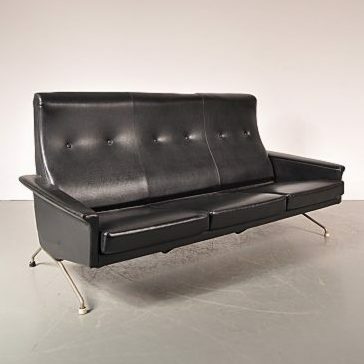 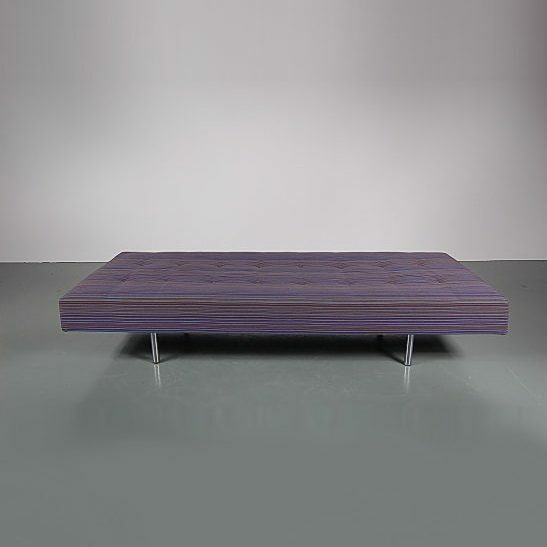 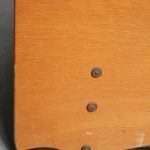 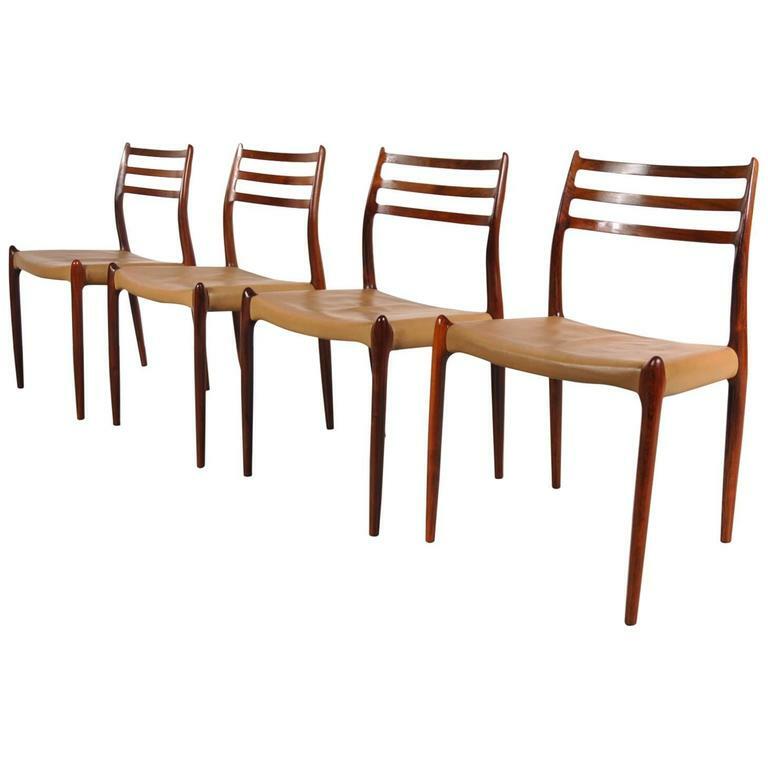 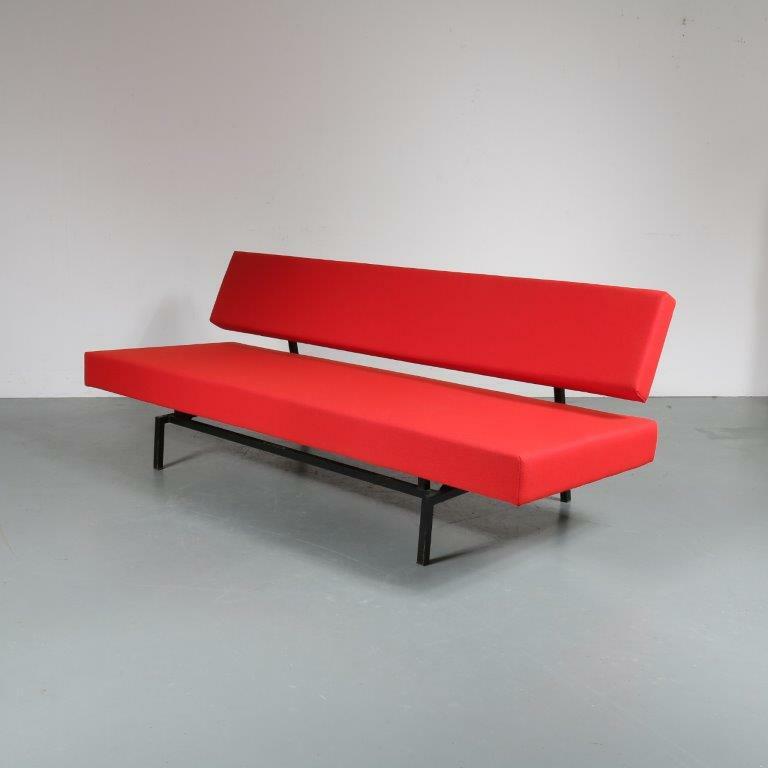 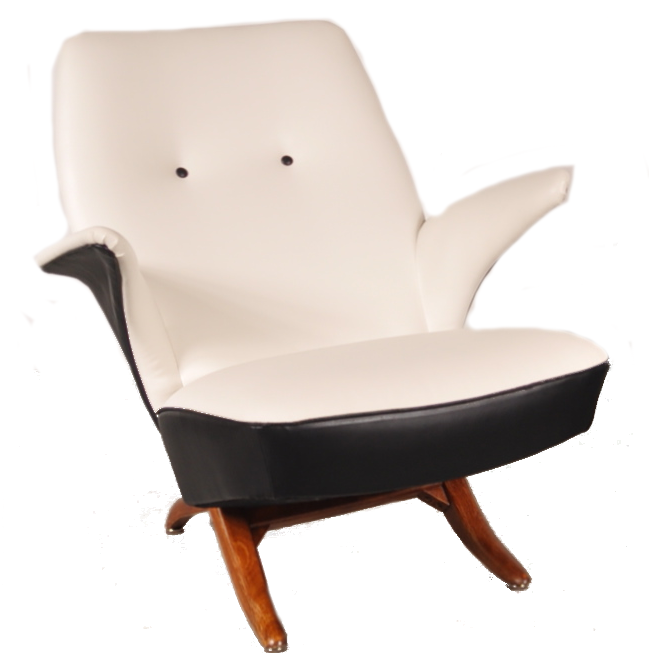 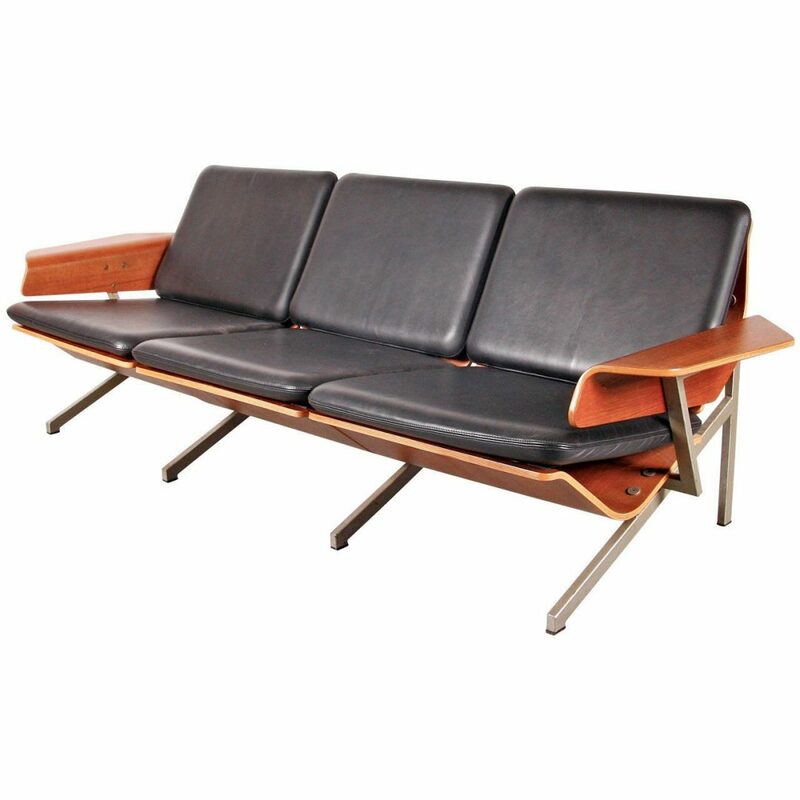 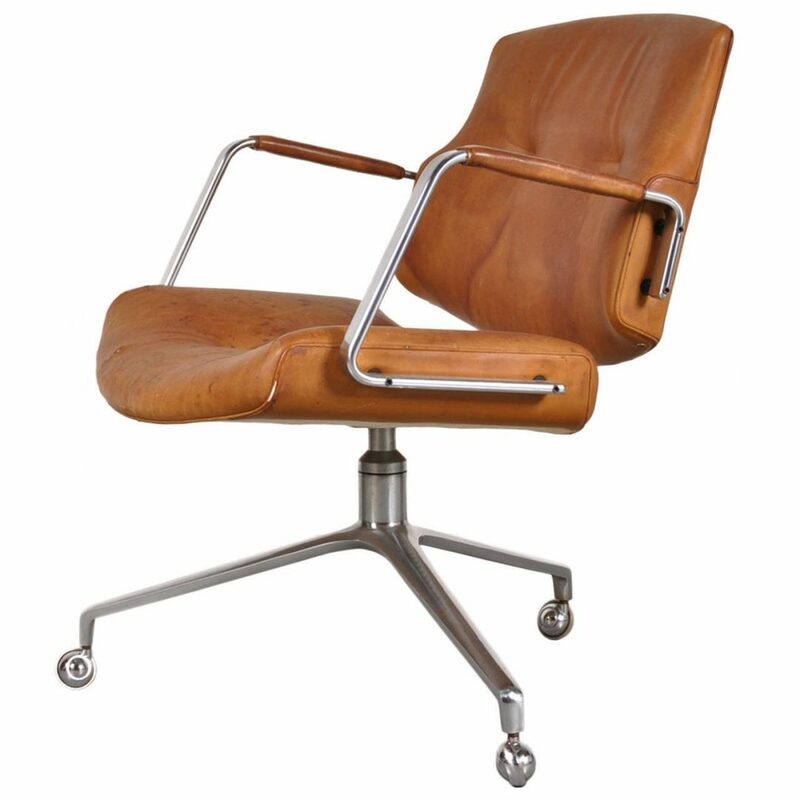 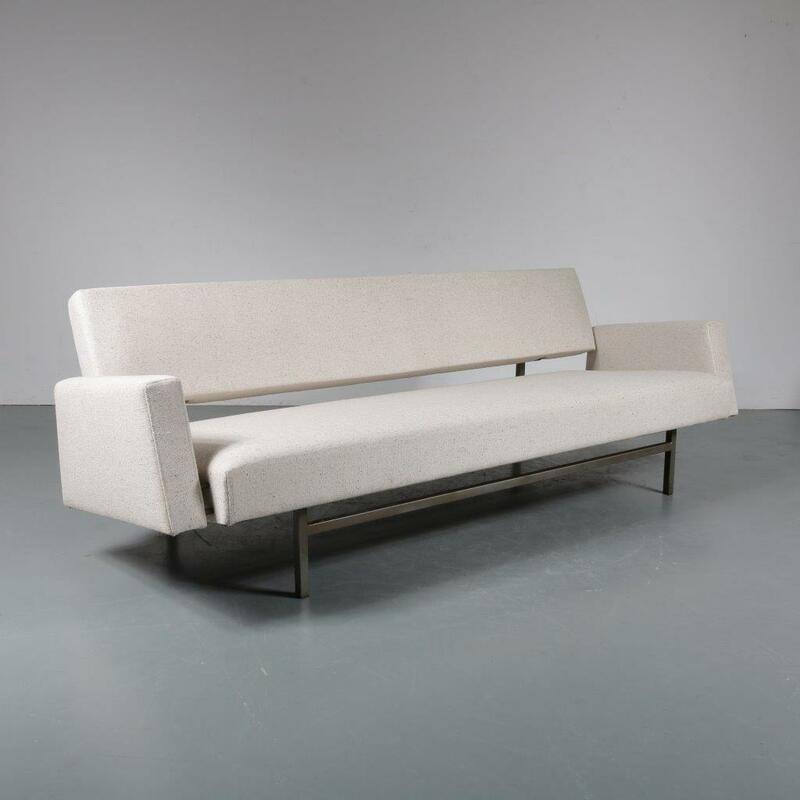 This is a beautiful, innovative Dutch design that would fit perfectly in any midcentury / modern decor or fits perfectly in a guest room!